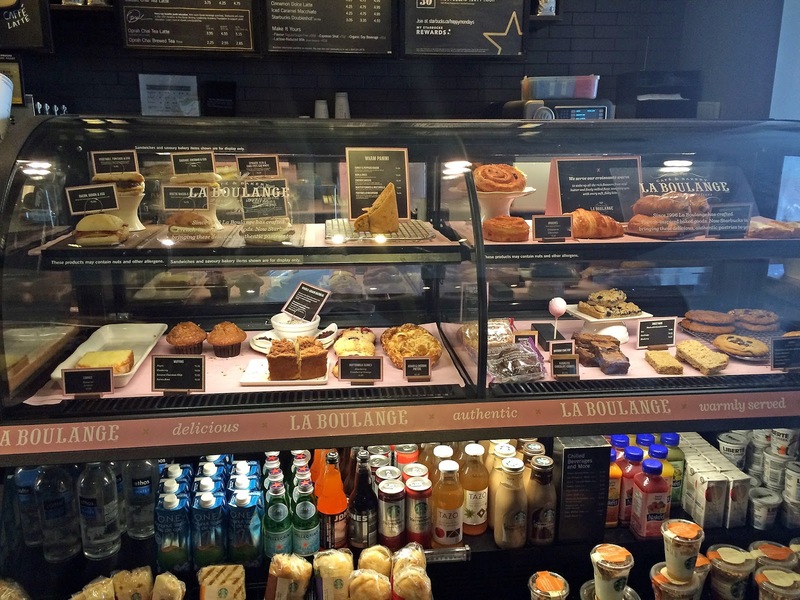 Starbucks has finally brought their La Boulange pastries to Canada! Full discretion: I'm addicted to Starbucks. I've devoured almost every food item they have to offer. I go multiple times a day. I can, and usually do, consume Venti Cool Lime Refreshers in less than 5 minutes. 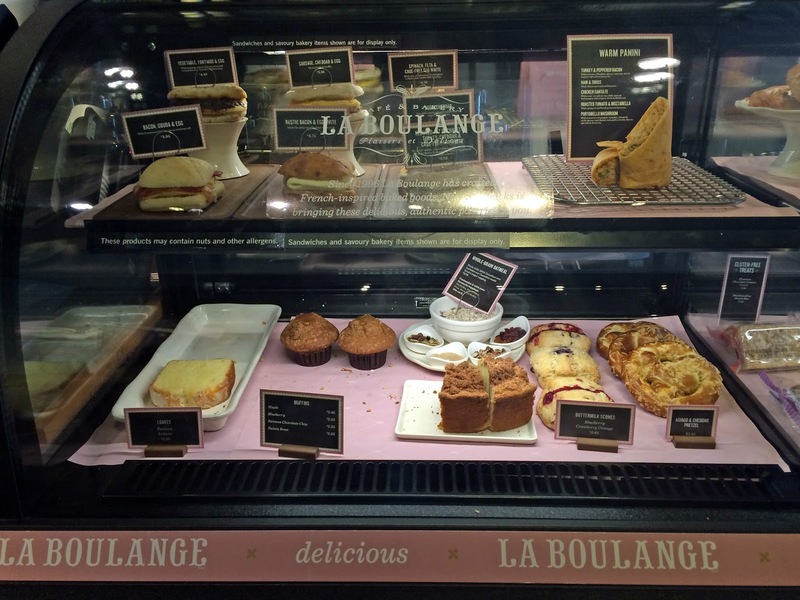 Even though La Boulange might be old news in the U.S., controversy over the pastry change is still alive and well. Shockingly, people have even created entire Pinterest pages dedicated to comparing the old pastries to the new ones. I was a little hesitant when I saw the announcement that their La Boulange pastries were coming to Canada. When it comes to food I'm always down to try new things, but I'm not a big fan of changing food that I already know I enjoy eating. If it ain't broke don't fix it, right? A few weeks ago, I was fortunate enough to receive a $20 Starbucks card to try some of the new food items when they were first introduced in Toronto. In a few of the posts I'd read online, people claimed that the new pastries were greasier and had no taste which is why baristas "strongly encouraged" they be warmed up, so I was ready to see if these complaints were valid or not. La Boulange didn't disappoint. Heated or not, every La Boulange pastry I've tried in the past couple of weeks tastes SIGNIFICANTLY fresher than anything I've bought at Starbucks in previous years, and I've already found my new go-to food items. The La Boulange pastries are meant to be more authentic and wholesome than the old pastries, meaning that there's a focus on real ingredients a.k.a. they feature only 100% real butter. This is probably why everyone's complaining their greasier than the old recipes, but I honestly didn't notice a huge difference. 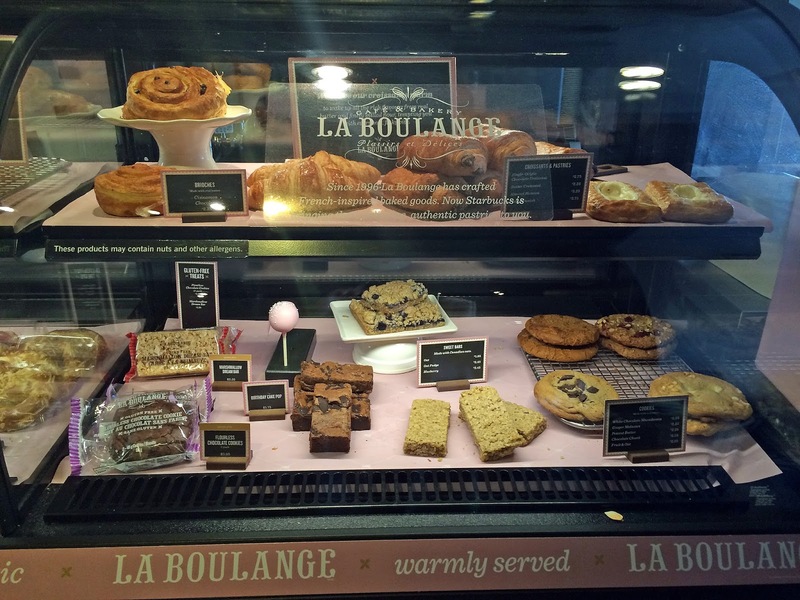 The introduction of the La Boulange products in Toronto was adorable. EVERYTHING was pink. There were pink tablecloths, balloons, bags, drink sleeves, etc. Even the baristas were wearing pink aprons and pink bowties. The new pastries are displayed on pink paper instead of the old trays, and I love that it makes Starbucks look more like a cute coffee/pastry shop. The three things I tried before I left Toronto were the chocolate croissant, lemon loaf, and gluten-free flourless chocolate cookie. I was probably one of the happiest people alive when I heard chocolate croissants were coming back. I haven't seen them in any Starbucks location in Toronto for over two years, so I was beyond excited to see 10 of them waiting for me when I got there. I managed to exercise some self-restraint and only buy one though. Here's a picture of the new lemon loaf and chocolate cookie. I'm sorry - I couldn't control myself and ate the chocolate croissant without taking a picture first. I don't think you can ever go wrong with a chocolate croissant. Nonetheless, the new recipe tastes amazing and I don't mind a little bit of butter on my fingers if the croissant tastes good enough to make me want to inhale it. In terms of the new lemon loaf, it is SO much fluffier than the old recipe. I know you're not supposed to play with your food, but at one point I was just squishing a piece of it because it was so light and fresh. My new ultimate favourite, go-to item? The gluten-free flourless chocolate cookies. I'm OBSESSED with them. They taste heavenly; there's honestly no other way to describe them. They're incredibly rich, only 170 calories each, and you get TWO packaged together. It's pretty much a dream come true. I've craved them since I returned to Montreal, and when the La Boulange pastries were finally introduced in stores here today, I ran to Starbucks to buy some before they sold out. The lowdown? Starbucks is now selling pastries made with more natural ingredients, featuring everything from gluten-free flourless goodies to all-butter croissants. There's quite literally something for everyone if you love indulging once in a while...or maybe every day. I understand that the new. butterier (this is a real word) recipe might turn some people off but let's be honest, if you're going to Starbucks, or any coffee shop for that matter, do you ever really expect healthy pastries? Do those even exist? If they do, what's the point? It's meant to be a treat, so TREAT YOURSELF.